Hennessy Cognac is a popular Brandy and Cognac available from DrinkSupermarket.com in 70cl to buy online. Visit DrinkSupermarket.com for the best price for 70cl of Hennessy Cognac or compare prices on our other Brandy and Cognac products. A dark brown colouring offers an aroma of vibrant fruit combined with oaky notes. On the tongue grilled almonds are supported by notes reminiscent of fresh grapes. Seven years mellowing in oak casks and careful blending contributes to the perfection of this wonderful cognac. Where to buy Hennessy Cognac ? Hennessy Cognac Supermarkets & Stockists. 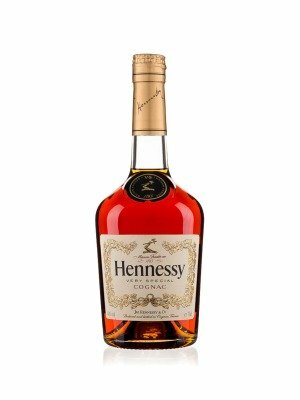 You can buy Hennessy Cognac online in most retailers and find it in the Brandy and Cognac aisle in supermarkets but we found the best deals online for Hennessy Cognac in DrinkSupermarket.com, TheDrinkShop, and others. Compare the current price of Hennessy Cognac in 70cl size in the table of offers below. Simply click on the button to order Hennessy Cognac online now.